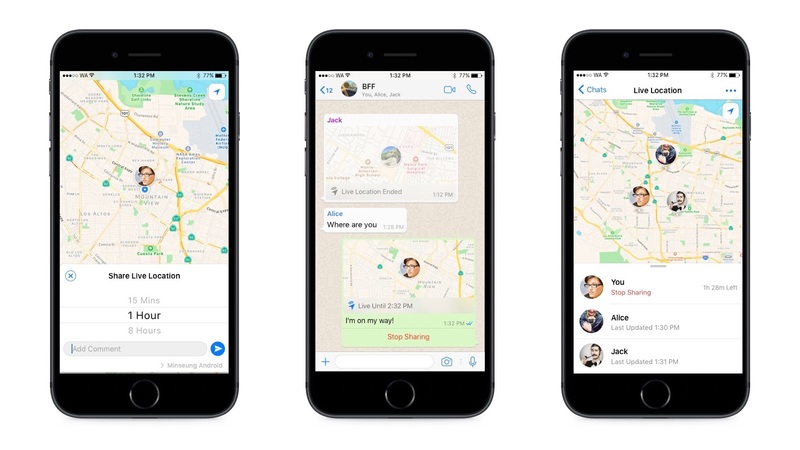 Today, WhatsApp is rolling out a new feature which is live location sharing for Android and iOS today. This feature allows users to share your real-time location for 15 minutes, 1 hour or 8 hours with your loved ones in chat message with a single person or a group using end-to-end encryption. The feature will be rolling out in the coming weeks to users on Android or iOS. WhatsApp which is owned by Facebook is by far the most popular mobile messaging app with over a billion users and I see this feature becoming popular very soon. Such a feature could be a big win for law enforcement agencies worldwide to track down individuals who are in trouble. Women will surely appreciate this feature as crimes against women drove the government to mandate a panic button on smartphones in India to ensure women safety. Telegram has had this feature for quite some time and looks like WhatsApp is picking up one more feature from Telegram. Google Maps has also had ability to share your location with family and friends. What’s your most wanted feature on WhatsApp ? Let us know in the comment.